Learn to read, count and code! 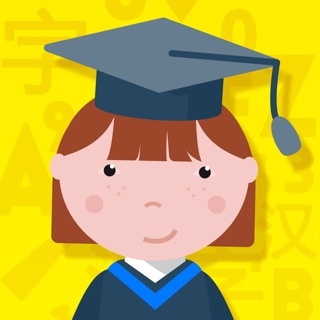 Looking for an app for your child to whizz through PreK and Kindergarten? Montessori Preschool covers phonics, reading, writing, numbers, colors, shapes, nursery rhymes, coloring and even coding! It is the #1 Montessori app worldwide. Designed by certified Montessori teachers with years of classroom experience, it is a fun child-centred app, perfect for children from 3 to 7. Our math curriculum covers learning to count, recognize numbers, trace them… from zero to 1 million. Introduction to addition and subtraction using Montessori materials are also available. From sounds to phonics to reading. In a Montessori classroom, early literacy starts before learning to read. Children are exposed to sounds and train their ear to identify them before putting a name on a letter. In the Early Literacy class, children can start with fun sound games like “I spy” and move all the way to reading comprehension. The app also offer pre-coding and reasoning games. Younger children love our latest additions: Wheels on the bus and Head, shoulders, knees & toes and now Old MacDonald sing alongs. A key element of preschool; learn the names of all the shapes and colors but in a fun, interactive way! Help the school nurse take care of the school's children and animals. Children have to recognize the patients' symptoms and give them the right treatment (problem solving and logic with a LOT of fun). Our Arts class includes an introduction to colors (primary and secondary) as well as many drawing/coloring options and 4 games to learn the basics of music. Children can play with the school's hamster and rabbit in Augmented Reality or 3D, depending on your device. Because children this age love to reproduce everyday activities done by adults, Maria Montessori included a range of activities like dusting, taking care of plants, cleaning a mirror or washing clothes. 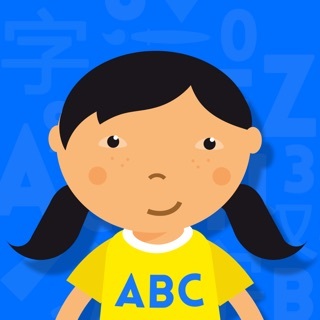 Our cute Chinese classroom offers numbers, songs and a few words in Chinese. - Regular updates and new content to make the app forever captivating! - Parents/teachers benefit from a tailor-made dashboard that tracks each child’s progress and suggests the next activity. Whether you are a newcomer to the world of Montessori, or a seasoned student, Montessori Preschool is sure to take each learner on an enthralling journey! • Account will be charged for renewal within 24-hours prior to the end of the current period; monthly or yearly. My son started using Montessori Preschool when he was 2. He is 3.5 now and I am continually amazed by how much he has absorbed from using the app on a regular basis. I love that it gives him freedom to explore concepts independently, just like in an actual Montessori classroom. I also love that there are plenty of opportunities for the two of us to play together. He loves pretending to teach me about different concepts. We reinforce concepts when we teach others, so it is a joy to see him doing that at such a young age. If I could suggest *anything*, it would be the addition of Spanish and French. Or at least on of them :) Also, more simplified games around learning the actual music scale. If developers happen to read this, the music learning portion in the ‘Endless Learning Academy’ app could provide some cool inspiration. We have a subscription to that app as well, but mainly use it for their ear training game. Hello and thank you for your feedback, we strive to offer quality educational content so your message goes straight to our hearts! We also wanted to take this opportunity to let you know that you can change the language of the app to French, Spanish or Chinese (open the settings and go into the Settings tab) at no extra cost. My kids have limited screen time, but when I do allow them to play it has to be educational AND fun. Montessori Preschool really knocks it out of the park on both of those fronts. They can easily switch between sections to find something that is interesting to them, which keeps them fully engaged. You should definitely download this, if you have young kids! Try it for a week and I guarantee you'll love it! !